If you would like to make your own hoop earrings with crystals and pearls, you can buy this step-by-step tutorial today! 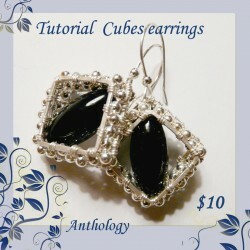 If you would like to make your own woven earrings, you can buy this step-by-step tutorial today! If you would like to make your own chain necklace, you can buy this step-by-step tutorial today! If you would like to make your own post earrings or pendant, you can buy this step-by-step tutorial today! With this tutorial you will learn how to create intricate earrings using various gauges of wire, gemstones and silver beads. If you want to make your own rings, you can buy this step-by-step instructions today! 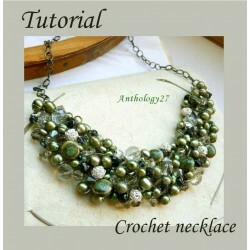 If you want to make your own crochet necklace you can buy this step-by-step tutorial today! 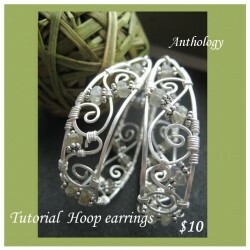 If you want to make your own hoop earrings you can buy this step-by-step tutorial today! 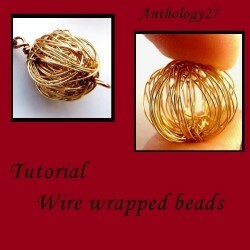 This step-by-step tutorial will show you how to create wire wrapped beads. This step-by-step tutorial will show you how to create a knotted bracelet.